The defeat of Nazi Germany in the words of those who were there. New Year's Day 1945 was not a day for rest or rejoicing on the embattled continent of Europe. Hard winter gripped the land, from the Channel coast to the distant Urals. Only the thought of victory warmed the frozen soldiers huddled in tanks and foxholes as the New Year dawned and they faced the prospect of battling onwards toward Berlin. This is the story of the last five months of Hitler's Thousand Year Reich, from New Year's Day to VE Day, May 8, 1945. It is a story told not in the words of historians or scholars, but in the words of the people who lived through it, who fought and endured: soldier and civilian, American infantryman and British paratrooper, Canadian gunner and Australian pilot, New Zealand POW and German civilian. 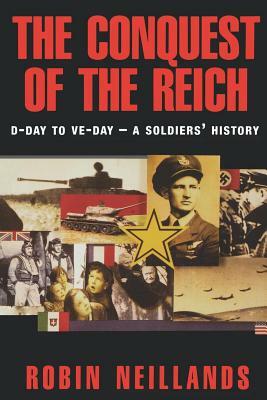 With his unrivalled gift for popular history, Robin Neillands, in his follow-up to the enormously successful "D-Day 1944," recreates in engaging narrative fashion the most dramatic and bloody months of the war. Drawing on hundreds of interviews, letters, and inside eyewitness testimony from veterans about such subjects as the esprit de corps in the Allied and Axis armies, the discovery of the concentration camps, the dissension in the Allied command, and the meeting of Russians and Americans at the Elbe, the book recounts the effects of many of the most crucial events of the conflict on soldier and citizen alike. The Battle of the Bulge, the liberation of Auschwitz, the Malmedy Massacres, the fall of Warsaw to the Red Army, the destruction of Dresden, the lynching of Allied aircrews, Yalta, Hitler's Scorched Earth directive, the massive parachutes drops by the Allied forces, the death of Roosevelt, the last days of Hitler, and, finally, the surrender of Germany--it's all here, rendered in engrossing and rich detail in this example of military history at its finest. For a comprehensive and thrilling account of the end of World War II, The Conquest of the Reich will stand as the definitive people's history for years to come.